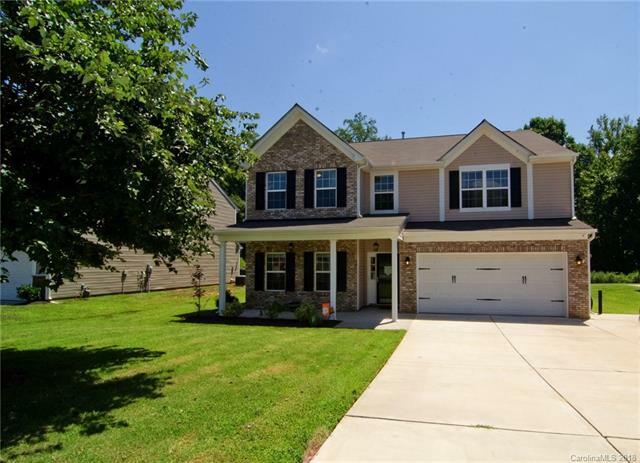 Gorgeous 4 bed home in Mill Creek Falls. Granite in kitchen w/ large breakfast bar & eat-in area, great room w/ gas fireplace, formal dining rm, formal living rm, large master suite w/trey ceiling, large walk-in closet, garden tub, sep shower, & dual sinks. Large loft area upstairs. Dual sinks in hall bath, large level backyard w/woods behind, this home has it all! 2 car garage with shelving, extra parking pad for more parking. Community offers jr olympic size pool, playground, tennis courts, walking trails and more! Award-winning schools and low SC taxes. Offered by Keller Williams At Baxter. Copyright 2019 Carolina Multiple Listing Services. All rights reserved.